Amazon has finally heard my prayers (requests)! After over three long years of waiting in vain... 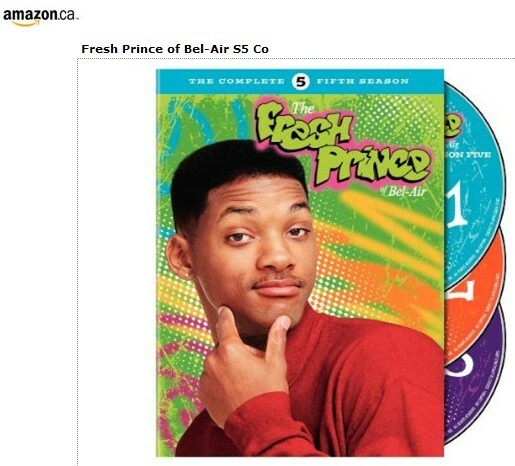 The Fresh Prince of Bel Air season 5 is coming out on DVD! Lemme me hear you say: "Wi-ill"! Born and raised dans une famille québécoise francophone, I watched very few TV shows in English. We used to watch Rescue 911 and then we got warped into Days of our Lives, but that was pretty much it for my family. I had my very favorite after-school show (I'm saving that one for an upcoming post), discovered SNL and started watching Law & Order. Benjamin Bratt? He did quite a bit for my teenage hormones. Can you say yummy? I would have held his gun for him. Posted by Miss IPP at 9:18 p.m. Anonymous April 29, 2010 at 12:22 a.m.
Hope the finger is doing well!